During an exclusive interview with “Fox & Friends,” Trump blasted the former president and his aides for the organized marches since his victory in the November 2016 election, and for the troublesome leaks that have impeded on his messaging. While the president doesn’t have concrete evidence proving that Obama is to blame, he’s not the only one who believes that his administration could be the culprit behind these acts. A former senior intelligence official disclosed to Fox News that he suspects ex-CIA director John Brennan and former Director of National Intelligence James Clapper – among other top officials – could be connected to the leaks. However, the president isn’t too distressed by his shocking revelation, although he doesn’t see an end to these protests in sight. The only reason I clicked on it is because it was included in a list of “sponsored” (paid advertising) sites that claimed “These 24 pictures of Donald Trump will change your mind”, illustrated with a photo of the Don standing close behind a blonde, well-endowed young woman– cropped to cut off the area below his chest, suggesting that his hands might be somewhere they should not. Clearly, the photo was intended to lure Donald-haters into clicking on it, hoping to see him groping some young victim. 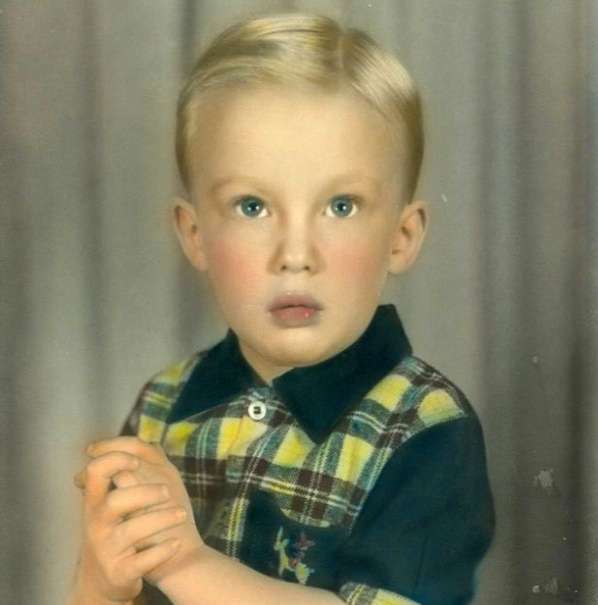 However, the twenty-four photos are all anodyne pictures of Don, including childhood photos, of his family, and of a few business associates. The web site consists entirely of puff pieces plugging Don’s virtues and bashing anyone who dares to criticize him. So, here’s a web site probably paid for with campaign contributions that came from anonymous sources in large amounts… in service of Don’s re-election campaign, which was declared active on the day he was inaugurated this January last, seemingly ages ago but not even quite five months now. That’s right. Don the Con is accepting contributions to his campaign for re-election. Democrats need to gird their loins and get organized… and above all, get out the vote. And for G-d’s sake, stop clicking on that clickbait!